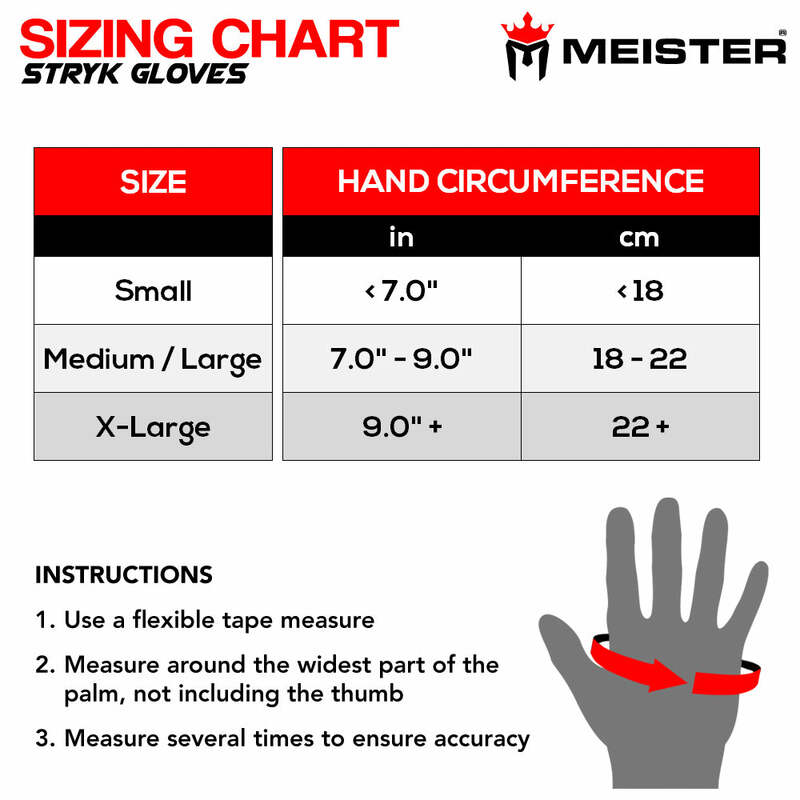 The new Wrist Wrap Stryk Gloves from Meister combine superior wrist support with compact strike padding. These gloves can replace hand wraps inside large boxing gloves or they can be worn alone for light target and technical striking drills. The oversized wrist straps provide a double layer of stabilization to protect your wrists. Large hook and loop sections allow you to adjust the tension to your desired tightness and comfort level. The neoprene body contours to the hand, wrist and fingers for a comfortable minimalist feel unlike other gloves that feel clunky or heavy. Meister Stryk Gloves feature exclusive EliteGel padding which cushions blows without adding excessive bulk to the hands. Each finger has a small elastic cuff which helps the striking surface contour around the entire fist. Additionally, large sections of porous mesh on both the front and back of the gloves allow airflow to help cool the hands. With versatile wrist support and striking protection, Meister Stryk Gloves are a must-have inner glove for your training sessions. Each pair comes with a free drawstring mesh carry bag. Follow the sizing chart to measure your hand and select the correct size - if you're between sizes go with the larger size.